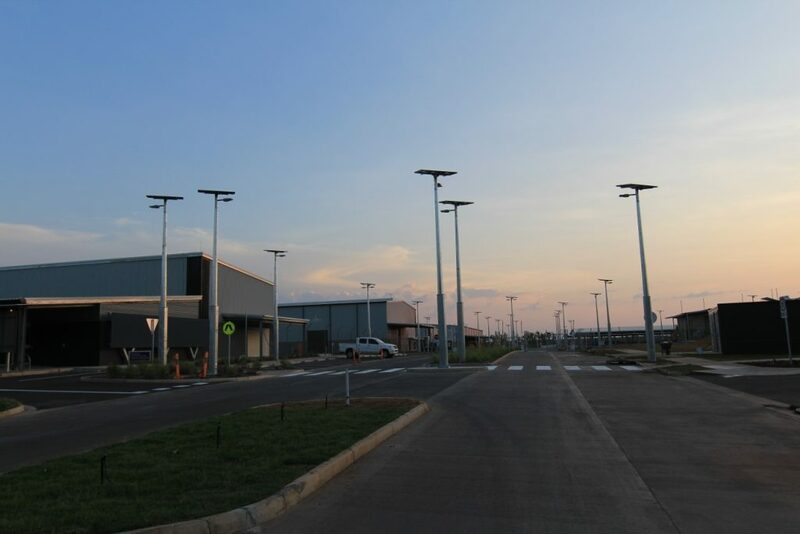 John Holland was awarded the contract to deliver the $112m Robertson Barracks Defence Logistics Transformation Program (DLTP), Works Package 4 for the Department of Defence in the Northern Territory. 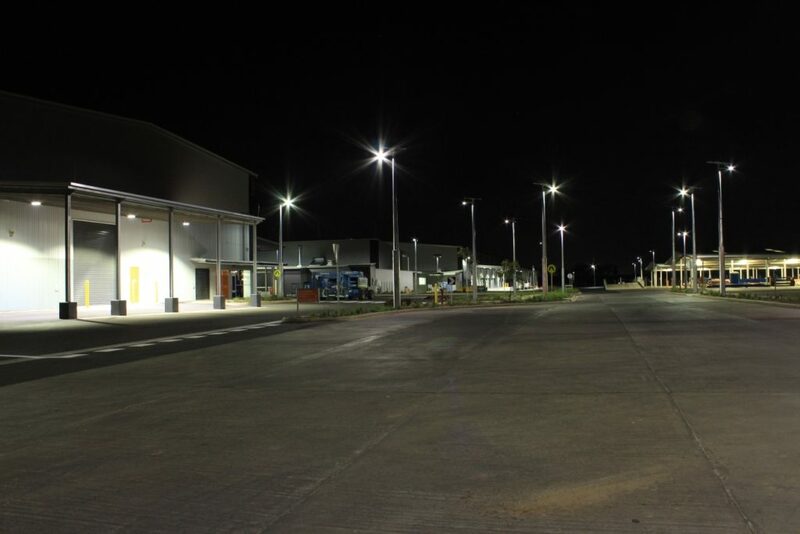 A big part of this upgrade was standalone solar lighting for most of the outdoor lighting (road, area and car park). Standalone solar lighting specifically chosen as a solution to the underground termites chewing through underground infrastructure including high voltage cabling. 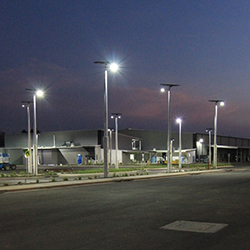 Vertex® solar lighting was a prominent component of the 2014 major upgrade of the Robertson Barracks in the NT. 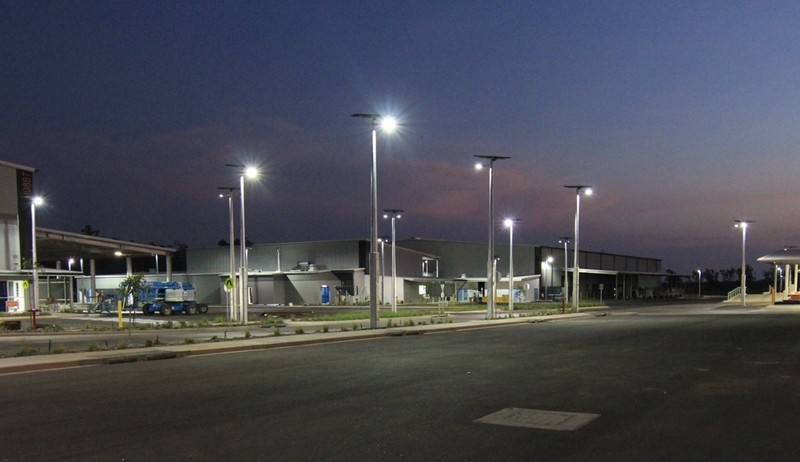 This consisted of 128 single and 14 twin outreach stand-alone Vertex® solar lighting systems installed as the majority of the external and perimeter security lighting. One of the reasons for selecting stand-alone solar lighting was the subterranean termites chew through underground services including high voltage power cables. The Cree LEDway™ light fittings accompanied the purpose designed Vertex® systems, designed to provide 6 full nights autonomy and mounted at eight meters. Onsite lux levels met and exceeded the original lighting design.